A new University of Maryland-led study reveals that racism may impact aging at the cellular level. Researchers found signs of accelerated aging in African American men who reported high levels of racial discrimination and who had internalized anti-Black attitudes. Findings from the study, which is the first to link racism-related factors and biological aging, are published in the American Journal of Preventive Medicine. Racial disparities in health are well-documented, with African Americans having shorter life expectancy, and a greater likelihood of suffering from aging-related illnesses at younger ages compared to whites. Accelerated aging at the biological level may be one mechanism linking racism and disease risk. “We examined a biomarker of systemic aging, known as leukocyte telomere length,” explained Dr. David H. Chae, assistant professor of epidemiology at UMD\’s School of Public Health and the study’s lead investigator. 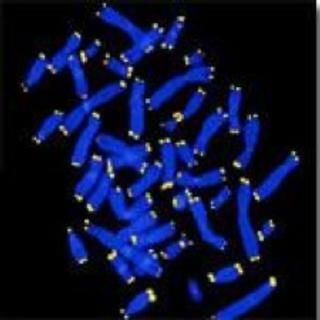 Shorter telomere length is associated with increased risk of premature death and chronic disease such as diabetes, dementia, stroke and heart disease. “We found that the African American men who experienced greater racial discrimination and who displayed a stronger bias against their own racial group had the shortest telomeres of those studied,” Chae explained. Telomeres are repetitive sequences of DNA capping the ends of chromosomes, which shorten progressively over time – at a rate of approximately 50-100 base pairs annually. Telomere length is variable, shortening more rapidly under conditions of high psychosocial and physiological stress. “Telomere length may be a better indicator of biological age, which can give us insight into variations in the cumulative ‘wear and tear’ of the organism net of chronological age,” said Chae. Among African American men with stronger anti-black attitudes, investigators found that average telomere length was 140 base pairs shorter in those reporting high vs. low levels of racial discrimination; this difference may equate to 1.4 to 2.8 years chronologically. Read More Racism May Accelerate Aging in African American Men | UMD Right Now :: University of Maryland. This entry was posted in News from the Soul Brother and tagged african american, aging, American Journal of Preventive Medicine, DNA, health, males, men, racism, science. Bookmark the permalink.